DETDA - ZhangJia Gang YaRui Chemical Co., Ltd.
DETDA Chemical Name diethyltoluenediamine, equivalent to Ethancure 100 and Lonza DETDA 80. Is a very effective chain extender of polyurethane elastomers, particularly suitable for RIM (reaction injection molding) and SPUA (spray polyurea elastomer) on; epoxy resin for a polyurethane elastomer and an aromatic diamine curing agent, with for casting, coating, RIM and adhesive is polyurethane and polyurea elastomer chain extender, but also can be used as polyurethane and epoxy resin curing agent, epoxy resin of antioxidants, lubricants and other industrial oils and . DETDA is a very effective chain extender of polyurethane elastomers, particularly suitable for RIM (reaction injection molding) and SPUA (spray polyurea elastomer) on; also be used as a polyurethane elastomer and the aromatic epoxy resin diamine curing agent, used for casting, coating, RIM and adhesive is polyurethane and polyurea elastomer chain extender. 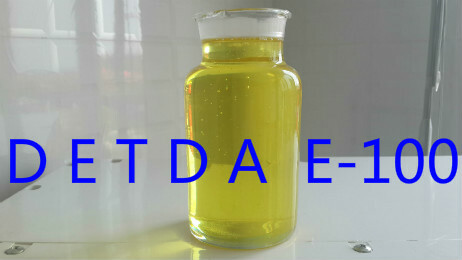 DETDA is a sterically hindered aromatic diamine, ethyl and methyl steric hindrance such that its activity is much lower than that of toluene diamine (TDA). It is the reaction rate of the polyurethane prepolymer is several times faster than DMTDA, about 30 times faster than MOCA. Mainly for RIM polyurethane systems and spray polyurethane (urea) elastomer coating systems, with fast response, ejection time is short, high initial strength, hydrolysis products, heat and so on. In addition, this product can also be used as elastomers, lubricants and industrial oils of antioxidants, and chemical synthesis intermediates. If DETDA product is not what you want, we can be customized according to your needs, please send us your order to Email: sales@yaruichem.com , or click here to post your buying lead.